A visit with an experienced IBCLC (International Board Certified Lactation Consultant) can support you on your breastfeeding journey! 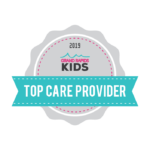 We provide care that is unbiased, compassionate, individualized and informative. Whether you are pregnant and planning to breastfeed, are a new parent, or an experienced pro facing a specific challenge, having a relationship with an IBCLC can provide peace of mind and help you reach your breastfeeding goals. IBCLCs are lactation consultants who meet the highest standards for lactation education, and are certified by the International Board of Lactation Consultant Examiners. The certification requires continuing education and regular board exams, so IBCLCs should be up-to-date on the most current information & research. Register now for upcoming breastfeeding classes! Having prenatal breastfeeding education is one of the most powerful things you can do to reach your breastfeeding goals. If you are pregnant and planning to breastfeed, check out our classes, or simply schedule a prenatal info session! Meet our Lactation Consultants, Shira and Cami! Fill out our contact form to schedule a consultation.